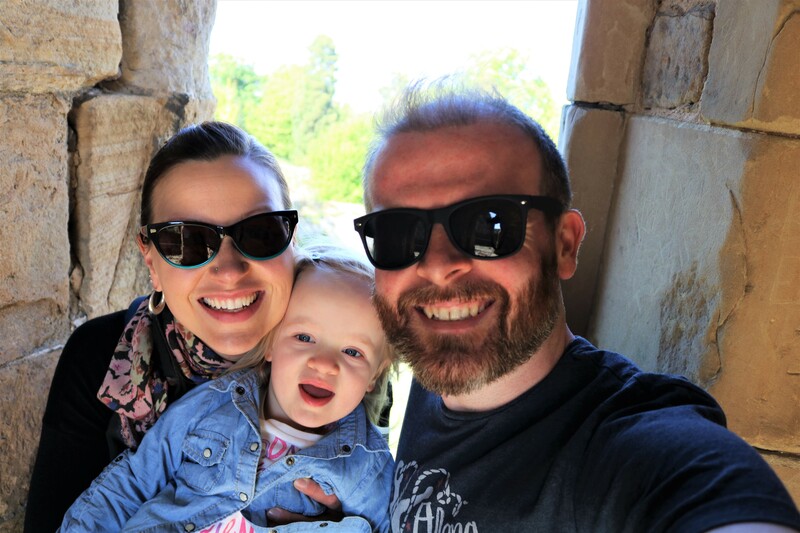 My favourite part of this Friday Photos lark is how it encourages me to go back through my photos of trips from years past and relive the amazing experiences I’ve been fortunate to have. One place that I really never thought I would visit was Thailand, an extremely exotic seeming place for a small town girl from Canada. While I was living in Australia I took every opportunity I could to travel to places that I would never be able to afford to visit from Canada. Thailand was one of these places. 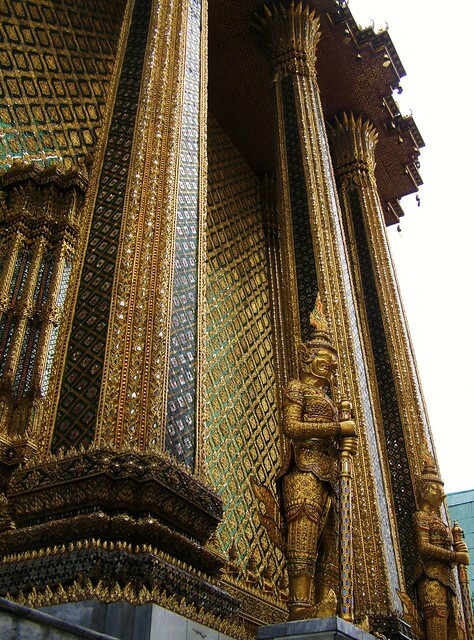 I don’t think you’ll find more elaborate columns than the mosaic and gilt covered ones found throughout the Grand Palace in Bangkok. Really, I’m not sure you’ll find a more elaborate complex anywhere else for that matter! 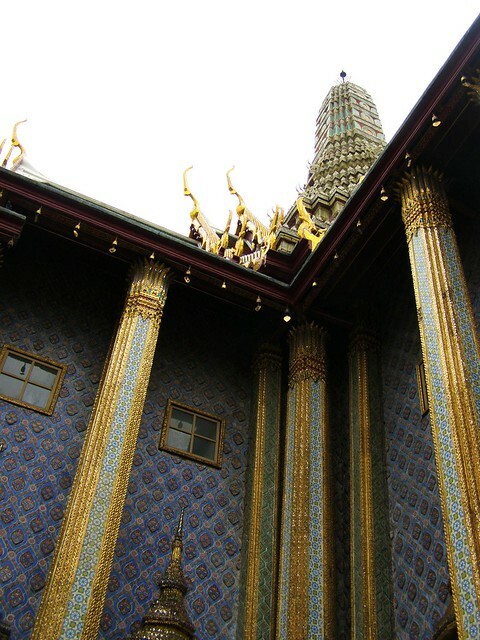 Every inch of this sprawling palace in the centre of Bangkok glitters and shines, truly making this a palace fit for a king! Do not believe the hawkers who will inevitably approach you outside and insist that the palace isn’t open yet and you should take their tuk-tuk tour first. The palace is not closed, they are just trying to take advantage of you. 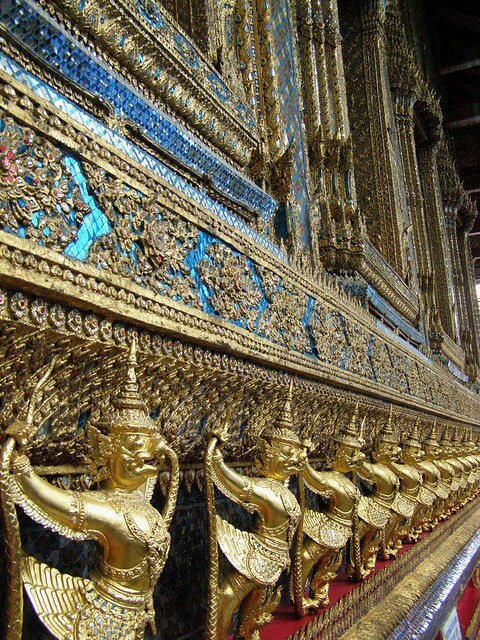 The Grand Palace is open every day from 8:30 to 3:30, unless it is being used for a state function, which is rather rare. Read all about our Bangkok scam adventure here. Give yourself a lot of time to explore the palace, it is astonishingly large. The entire palace complex is 218 400 square metres in size, which equates to more than 40 American football fields! Not only is large, but it’s also fascinating so you don’t want to rush it. 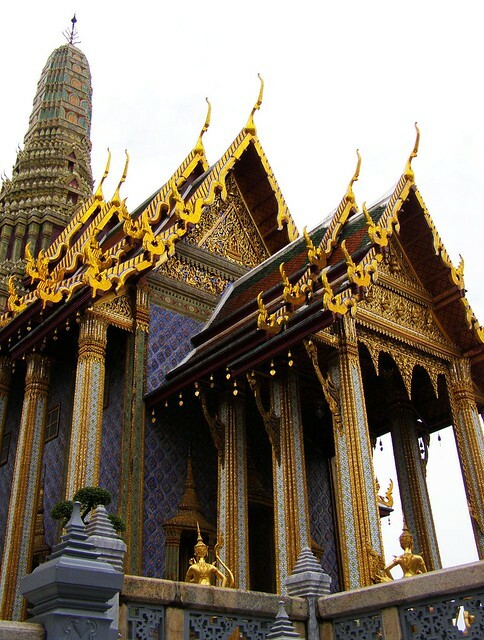 Have you ever visited the Grand Palace in Bangkok? Great pictures, remind me my visit there! Great details!